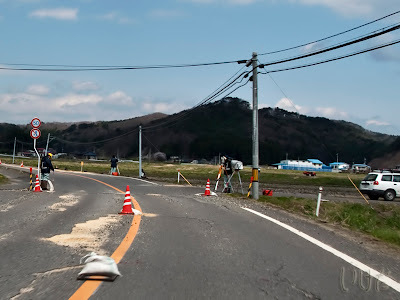 Shirakawa city lies in Fukushima prefecture, right across the Tochigi border. We go there pretty often, time permitting of course, because that's where the Auschwitz Peace Museum Japan is located. 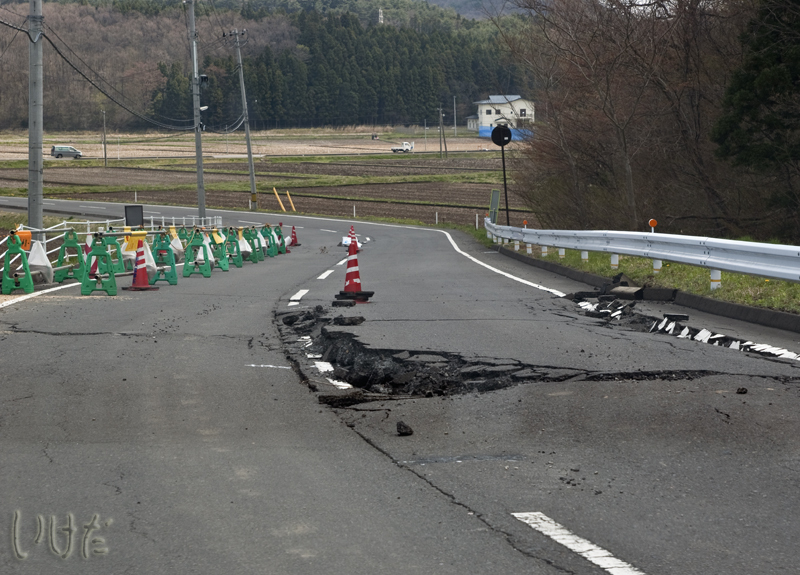 It's hard to believe that a city so near us suffered such serious earthquake damage. The Komine castle grounds are pretty much totally destroyed, though the castle itself is still standing. 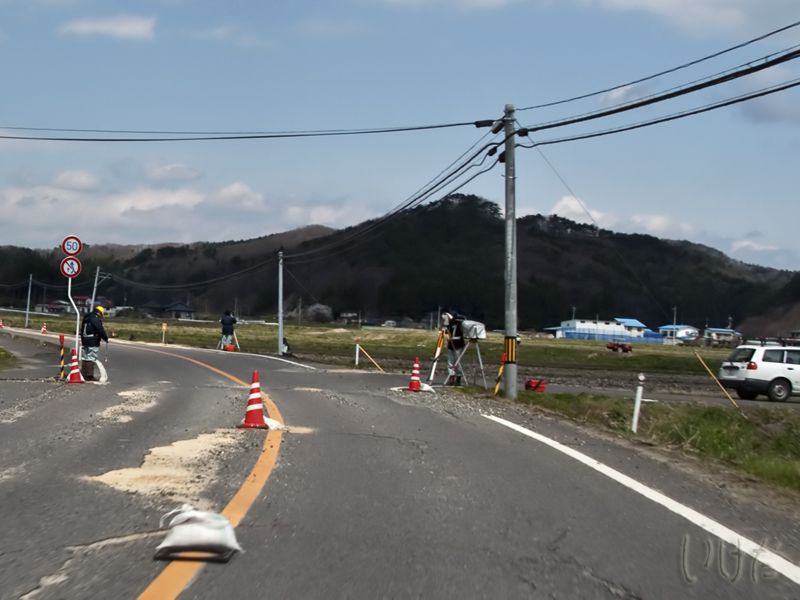 And the roads, well... More than a month after the Tohoku earthquake some are still closed and off limits to traffic. During our second trip to Aizu Wakamatsu we wanted to try a different route, more local and more rural. Our first choice was prefectural road number 37. On our map, it looked like a convenient shortcut across the mountains, with a lake along the way. 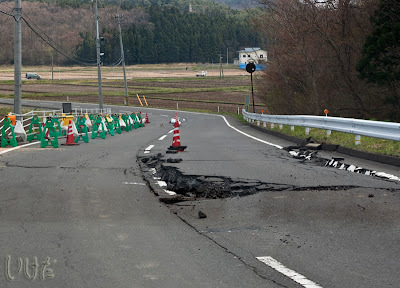 I was excited to see parts of Fukushima I haven't seen before. Driving became quite dangerous. We thought the conditions would improve, but it instead, it just got worse. When we finally joined route 37, signs were posted that 6 kilometers further up, the road was closed to all traffic. There was a detour marked, supposedly leading to the lake, but not knowing these local roads well, we decided to turn around and stick to the popular highways, the ones we drove on before.